Only 12 left in stock - Order today! 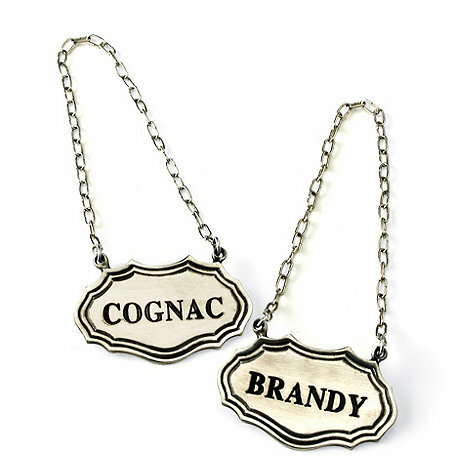 In a class by themselves, our handcast pewter labels on chains are the perfect finish for your crystal decanters. Beautifully crafted, one embossed with 'Cognac', the other with 'Brandy', they're cool, clubby and reflective of the fine spirits you favor. In a class by themselves, our handcast pewter labels on chains are the perfect finish for your crystal decanters. Beautifully crafted, one embossed with 'Cognac', the other with 'Brandy', they're cool, clubby and reflective of the fine spirits you favor. Set of 2, each 1.38""H x 2.28"W.